GREENVILLE, S.C., May 7, 2018 /PRNewswire/ -- A newly released survey of U.S. teens conducted by Michelin North America in seven major U.S. cities reveals that 42 percent are driving with unsafe tire tread, and 40 percent are driving with improper tire pressure. A study of U.S. teens conducted by Michelin North America found that 42 percent are driving on unsafe tires. Michelin's Beyond The Driving Test initiative aims at raising awareness of tire safety among teen drivers. "The fact that car crashes remain the No. 1 killer of our teens2 is a national tragedy," said Scott Clark, chairman and president of Michelin North America. "Many teens say they know the simple steps that make their tires safe, but too few are actually using their knowledge. It's time to move our teen drivers from awareness to life-saving action." 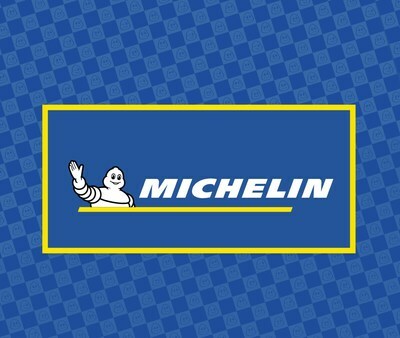 To address this serious threat to the nation's youngest drivers, Michelin is expanding its Beyond the Driving Test program. Beyond the Driving Test, introduced in 2014 in partnership with the Federation Internationale de l'Automobile (FIA), set a goal of gaining commitments from all 50 U.S. states to include consistent information about tire safety in new driver training materials. That milestone was reached last year. In this new phase of Beyond the Driving Test, Michelin aims to reach 1 million teen drivers with its #StreetTreadContest. 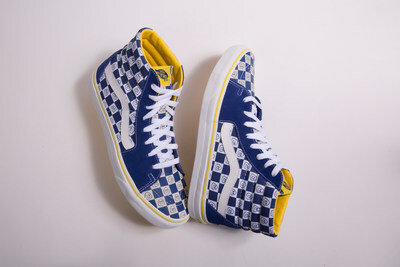 To help further tell the story of the campaign, youth culture brand Vans partnered with Michelin to design limited-edition versions of Vans Classic Sk8-Hi and Old Skool shoes. "On the surface, it might seem like teens care very little about tread depth or air pressure, but when you dig a little deeper, you discover that they're very aware of the importance and the impact of these indicators — but only as it relates to their sneakers," says Clark. "When we recognized this, we turned to one of the most popular and iconic sneaker manufacturers in the United States—Vans—and invited them to partner with us to help save teen lives." "Anytime I have the opportunity to encourage youth to develop their knowledge and improve their safety, I want to get involved," said Steve Van Doren, son of Vans' co-founder and vice president of events and promotions. "Using the iconic Michelin Man on our classic styles that are built on top of rubber will be a fun way to inspire tire safety and drive teens to take action." To acquire one of the limited-edition Michelin-inspired Vans, teens must prove their street tread by sharing a photo showing that they know how to check a tire's tread depth using a penny and/or know how to check tire pressure. Vans, the original youth culture brand and icon of creative expression, is one of the top footwear brands for teens.5 In addition, the company has a strong commitment to empowering high school students and individuals across the country, as evidenced through programs like Vans Custom Culture. Clark said, "Street Tread is rooted in the fact that sneakers have become incredibly important in the teen culture. As such, we'll use sneakers to connect with teens and drive them to action." Most teens (75 percent) say they know about tire maintenance, but three-quarters of them say they let others take responsibility for the maintenance of their vehicles. 2 in 5 (43 percent) have never checked their tire tread depth, while 1 in 3 (32 percent) have never checked tire pressure. However, the majority of teen drivers agree they should check their tire pressure (56 percent) and tire tread (57 percent) more often. Michelin will select 100 teen drivers throughout the summer, and the exclusive, limited-edition sneakers will be delivered to winners of the #StreetTreadContest after students return to school in the fall. The Fédération Internationale de l'Automobile (FIA) is the governing body for world motor sport and the federation of the world's leading mobility organizations. Founded in 1904, with headquarters in Paris and Geneva, the FIA is a non-profit organization. It brings together 246 Mobility and Sport Clubs from 145 countries on five continents. Its Member Clubs represent over 80 million road users and their families. The FIA promotes safe, sustainable and accessible mobility for all road users around the world.